VISIT OUR MAIN SITE FOR FULL EVENT DETAILS AND NEWS! Hear ye! Hear ye! Noble lords and fair ladies! You are hereby invited to join the Knights of the Round Table for an epic adventure through the middle ages! 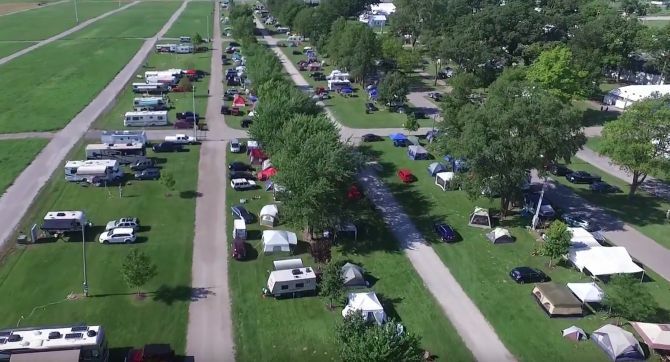 Join over 2000 lords and ladies for fun activites such as onsite caching, lab caches, over 1400 onsite Geocachers camping, a Poker Run, and even a Treasure Hunt! See the spectacular vendors! Watch as our nightime fires are lit! Help hundreds of trackables on their way and participate in daily swag trading sessions with dozens of fellow swag collectors! Keep checking our Event Schedule to see what lies in wait for you at Spangler Castle! Yes Ladies and Gentlemen, this year's theme is Birds of the Round Table! and our Mascot will be the Raven! As usual we will be giving away over $2500 in prizes! There will be a campsite contest with the top three winning awesome prizes and a number of honorable mention awards! There will be a Poker Run with the top three best hands AND the WORST 5-card hand winning awesome prizes! There will be a Treasure Hunt where EVERY TICKET is a winner of a fabulous custom trackable and some will instantly win GPS units or other great prizes! Play Bingo! Meet people! Then turn in your completed Bingo card for a shot at a fabulous prize! 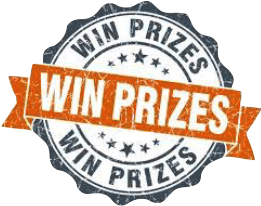 In the past two years we've given away $1000s in prizes, including GPS units, Tablets, Smart Home Devices, Smart GPS Watches, and much more! As always registration and attendance is completely free. We have TONS of onsite camping available for you to get the full on-venue three day experience of bash. Of course, if you're from out of town or prefer a soft bed and a warm shower at the end of the day, there are also several nearby hotels for the Hotel Gypsies to stay at. There will be many new caches in the area for next year for you to find while you participate in event activities. 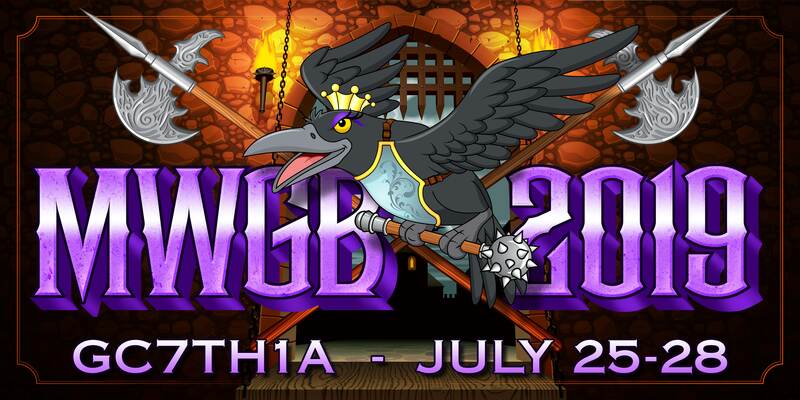 Often imitated, but never duplicated - MWGB has become a must-do event in the Geocaching world since its inception as a casual camping gather in 2005 at Harrison Lake State Park in Ohio. In 2018 we're back in Fulton County Ohio near where it all started with our venue only miles from the original event location. Click This Image For Our 2017 Highlight Video! 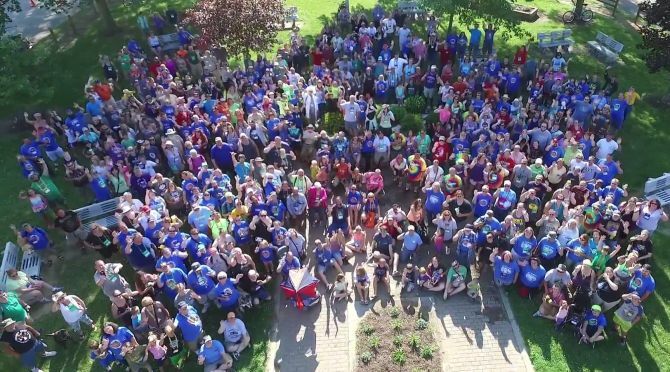 Camp with over 1400 fellow cachers onsite! Experience the full fellowship of Midwest Geobash! Campsites include shared power and water, limited RV sites with full hookups are available. With over 550 campsites priced at only $35 - $55 for the entire weekend Bash camping is super fun and a great value. Click on the image below for the full map of caches in the area! New caches on venue every year! Two nearby bike trails with hundreds of caches to find! Some of the most popular caches in the world! Not only lots of caches, but some of the very best caches in all of Ohio are just a stone's throw away! Grab TWO Countries and FOUR States, all within a day trip from the venue! Get your caching in on Thursday and Friday - we suggest you hang tight to the fairgrounds to enjoy the big crowds on Saturday!